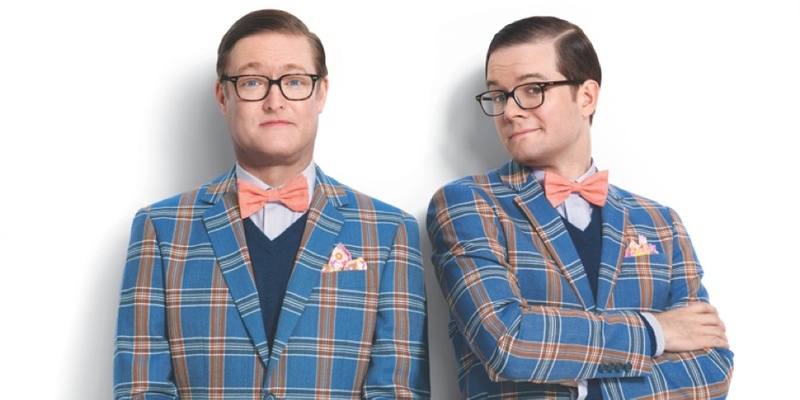 Target Optical is the opticians and eyewear division of the Target retail chain. You can find the department within select Target stores across the United States, but you can also access the service at any time online at TargetOptical.com. 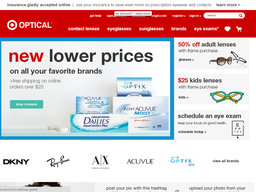 Online the service allows you to purchase prescription glasses, sunglasses, and contact lenses for all ages, as well as book an eye exam at your local Target. There are also many offers and deals online to help you make savings. At Coupofy we keep an up to date list of COupons, which you'll need to redeem these, so be sure to check back before ordering. Target Optical was introduced in the late 90s and is now found in over 300 Target locations across the US. The online store was first launched in 2001. Target Optical caters to both men, women and children, with well known and lesser known brands of contact lenses and eye glasses. On the site you can use the search bar, browse through several categories, or go straight to your favorite brand. Popular ones include DKNY, Ray-Ban, Armani Exchange, Acuvue, Air Optix, AndrewAndrew, Coach New York, Converse, Merona, Mossimo, Paul Frank, Spy, Vogue, Xhilaration, Bolle, Maui Jim, and many others. There is even a range of Disney themed glases for children, featuring Mickey Mouse, Tinkerbell, Cars, and other film characters. Depending on what's available at the time our Target Optical coupon codes may be applicable for any product in the catalog, or specific items only, such as Target Eyeglasses coupons. Simply click a coupon to reveal further details. Product listings can easily be sorted by color, shape, material (metal or plastic), and price range, and include styles such as cat eye, rimless, rectangle, and pilot. If you're looking for a bargain be sure to check out the special offers page. The Target Optical website supports payment using Visa, Mastercard, American Express, and their own Target REDCard Visa store credit card. To redeem a Target Optical coupon code all you have to do is enter it in to the promotional box during checkout, before you make payment. All orders come with free standard shipping, which can take up to 10 business days. You can however pay extra to get next day shipping, which costs $12.99, though some orders will still have a lengthy processing time. Just like many other online stores, this one also has a return policy, which states that all products can be returned within 90 days of the original purchase date as long as they are in their original condition. In order to initiate a refund, make sure to contact the customer support team, which will get back to you with an answer as soon as possible. Further claims can also be made to the staff, which will try its best to make things right. If your return is accepted you will be given a prepaid return label for easy return shipping. DKNY, VOGUE, MOSSIMO, VERSUS by VERSACE, SYDNEY LOVE, JILL STEWART, VIA SPIGA, LUCKY and much more! We have an awesome eye Dr that has phenominal eye exam offers. We can't wait to fit you with some of the hottest designers!